I got the Petzl Ascension ascender to replace my prussik cords for jugging fixed lines. In my search, I tried out numerous types of ascending devices such as the Black Diamond nForce and the Petzl Tibloc, but the Ascension stood out as the best piece for the job. I picked the left handed version so that I switch from using the "double ascender" method of jugging to the ascender/grigri method when I got enough money to guy the grigri. I also carry it along in case I need to perform a self rescue. The best feature of the Ascension that makes it stand out over the competitors is how smoothly it slides up and down the climbing rope. Also, the thumb trigger makes the device very easy on and off the rope as you pass up gear placements while cleaning aid pitches. 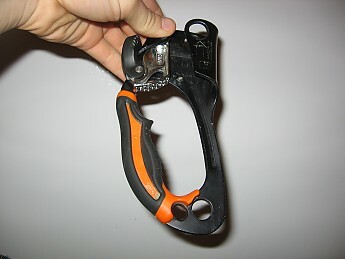 The device itself has two attachment points on the bottom of the device, which are plenty big to fit even large carabiners into, and the holes at the top of the device allow you to create a 3-to-1 pulley system with a loose carabiner for taking in slack with the ascender/grigri method. 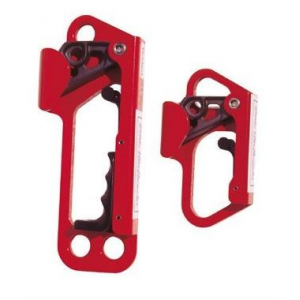 This feature has proven extremely useful when installing or removing bolts on sport routes. Weight is another plus to the ascension, weighing in at 196 grams (less than other competitors of similar shape). One of the cool features I like to use the ascension for is self-belaying on a fixed top rope line as opposed to using a locking pulley. Some of my climbing partners commented that the hole at the bottom was not large enough to rotate a locking carabiner 360 degrees, but I don't see this as being an issue that I will ever have to deal with. Overall I am totally satisfied with the Petzl Ascension. 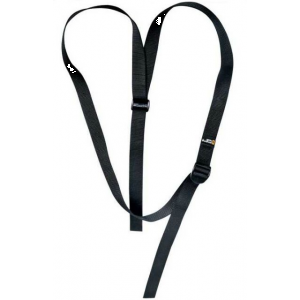 It meets all my needs and offers great versatility either climbing, caving, or jugging. I would highly recommend this product if you are in the market for an ascender. This is a great ascender. This is my favorite handled ascender. I own three of them. One is retired, and has over 150,000' of rope work on it. The teeth were starting to get too thin, so I replaced it with a new one. 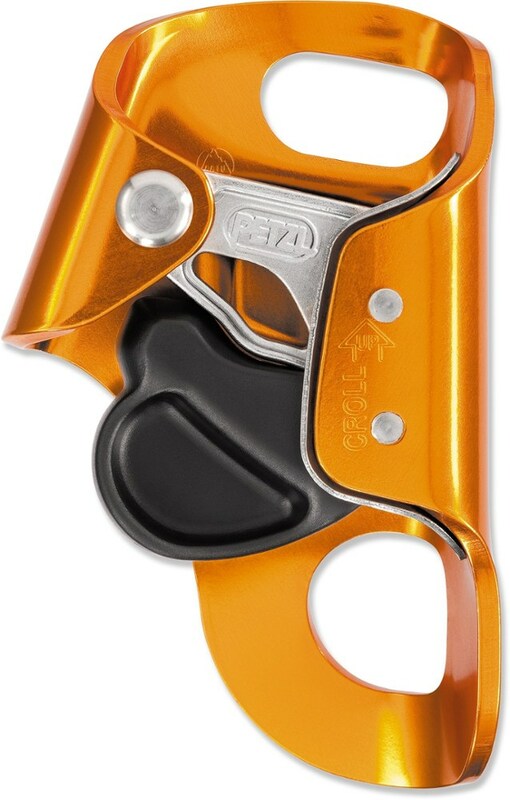 The ascender still bites due to Petzl's great design! 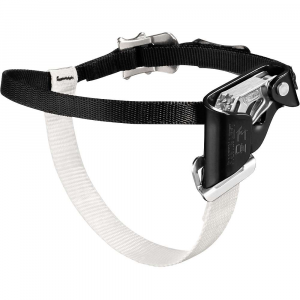 The Petzl Ascension is the only foot ascender on the market worth looking at. Although the price is a bit higher, I have known cavers who regretted trying cheaper alternatives. 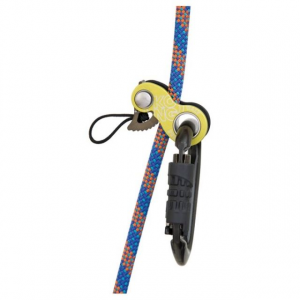 If you are new to rope work, Petzl is the brand to buy...period! So, I have said the same thing on my Petzl Croll review, but in a "Frog" ascending system, the Croll and Ascension are both critical components. You can't safely have one without the other. 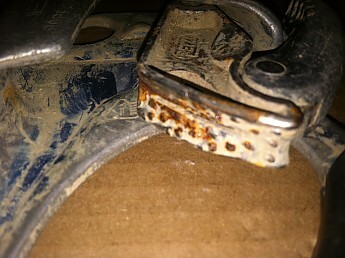 The Petzl Ascention is the only foot ascender I've ever used for caving. It works right every time. I can set and remove it while wearing gloves. It holds on wet, gritty rope. I literally have trusted my life to it scores of times. Petzl tends to be a bit pricier than other other brands, but I have caved with people frustrated with the performance of their cheaper buys. The photo below is of me hanging on the Ascension over a cave pit, approximately 60' off the pit floor. I'm switching over to my rappel rack in order to descend. As I state in many of my reviews, rope work in a cave is dangerous. One should not just pick up a bunch of equipment and go try it out. 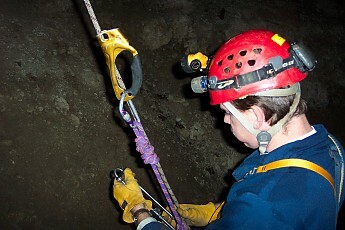 Join a caving club (called a "Grotto" and found at www.caves.org) and learn from them. It is also wise to find out what your local Grotto is using in caves. If you are using a system they are unfamiliar with, it will be difficult for them to assist you, should you get into trouble (and, yes, cavers get into trouble on ropes all the time).